Sip cocktails and maybe commune with the Great Beyond at a stylish adult evening. Spooky spirits -- definitely in cocktail form, and maybe in ghostly form, too -- visit the Ojai Valley Inn & Spa on Thursday, Oct. 30. AN ATMOSPHERE-FILLED EVENING: We can name the principal flavors that food arrives bearing -- salty, sour, sweet, and so forth -- and we can name most of the flavors in a standard, multi-stick pack of gum. But what are the flavors of non-edible things, and are they as manifold as we think? Take popular holidays. Pretty much everyone puts a small-to-large twist on the proceedings, even as we observe the same traditions, year in and out. Halloween, though, is only ever labeled "kid" or "adult" when it comes to costumes, events, and such, though we grown-ups like a lot of different types of Halloween: loud parties, big parades, and the rare, sophisticated, slightly goosebumpily event that involves cocktails, conversations, and possible a message or two from the Place Beyond the Veil. 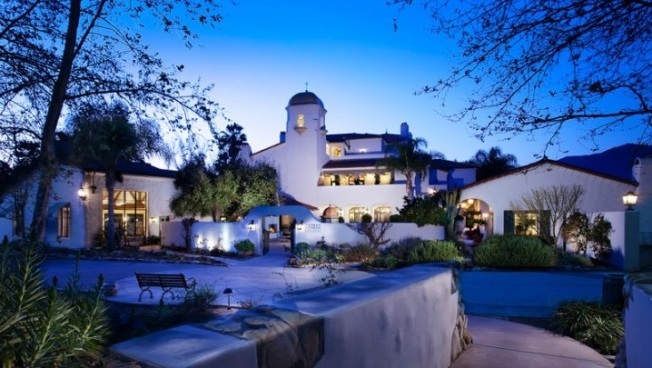 The Ojai Valley Inn and Spa is throwing that particular flavor of grown-up ghostiness, and, nope, it doesn't involve a boisterous parade nor a crowded bash or even Oct. 31. Messages from Beyond: A Magical & Mystical Evening lands at the expansive property on All Hallow's Eve eve, the better so you can jumpstart your Halloween -- with a few juicy thrills, fingers crossed -- on Thursday, Oct. 30. THOSE JUICY THRILLS... may come courtesy of medium Vickie Emanuele, who will be glancing into the other side -- or Other Side, rather -- to see what contacts can be had. It's a setting that fits. Ojai is known as a center for the spiritual, and the city's come-one-come-all character allowed it to flower, early on, with people getting in touch with their spirited side. FANCY COCKTAILS... appetizers, "and a special Apothecary-blended All Hallow's Eve Ojai Elixir" -- it's a body oil -- are part of the mood-laden doings. Cost? Ninety five dollars, and Oct. 28 is your deadline for purchase. For sure, you can stay over, too, as there is a "special stay rate available!" Is this the flavor your grown-up Halloween will be this year? A little quieter, a little velvetier, a little more ghostly, and a little lacking in the holiday's wilder charms? It's okay to change up something annual now and then, because, spoiler alert: It'll be back next year, like creepy clockwork.